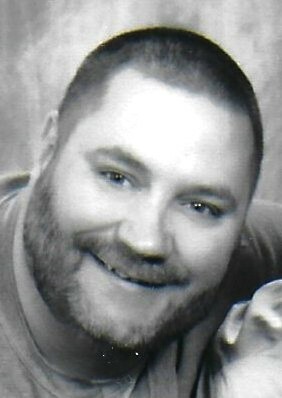 Michael Lee Schultz, 44, of Cascade passed away of heart complications on Thursday, January 31, 2019 at Aurora St. Luke’s Medical Center in Milwaukee..
Michael was born on September 8, 1974 in Sheboygan a son of the late Dwight and Mary (Kulaf) Schultz. He graduated from Plymouth High School. On October 13, 2007 he married Jennifer (Hintz) Rammer. Michael was employed at Times Printing for 25 years and most recently at Cedar Grove Warehousing as a forklift operator. Michael enjoyed hunting, fishing and most outdoor activities. He played on various softball teams and loved to spend time with family especially his daughter, Jordyn. Michael is survived by his beloved daughter, Jordyn and his brother Jamie of Cascade; nephew Noah Schultz; uncles Duwayne (Maryann) Schultz and Kevin Schultz both of Cascade; Jordyn’s mother, Jennifer Schultz, stepdaughter Jessica Leider of Plymouth; stepson Brock Rammer of Sheboygan; cousins and other relatives and friends. He was preceded in death by his parents and grandparents. A funeral service for Michael will be held, 7 PM, Tuesday, February 5 at Wittkopp Funeral and Cremation Services with Rev. Nathan Meador officiating. Burial will take place in St. Paul Lutheran Cemetery, Cascade. Family and friends may gather at Wittkopp Funeral and Cremation Service, 123 South St., Plymouth on Tuesday from 4 PM to the time of service at 7 PM. Memorials may be made in Michael’s name. Michael’s family thanks Dr. Schroeder at Plymouth Family Physicians and St. Luke and St. Nicholas Hospitals for their quality care given to him. They also extend their appreciation and gratitude to Pastors Meador and Seifferlein for their guidance and comfort.